This article will focus on platform options when investing in a new budgeting tool. This article will discuss budgeting solutions that can expand your Manufacturing planning processes with Sage 100. It is becoming clear today that Business Intelligence (BI) analytics tools are becoming more important as it is the way to turn important data into dynamic decision-making for the future of the organization. 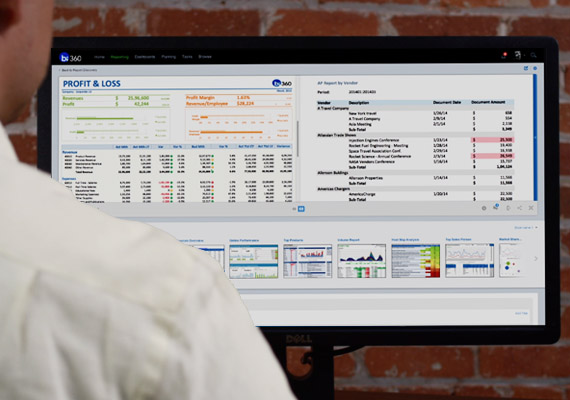 There are various software choices that can assist manufacturing companies using the Sage 100 enterprise resource planning (ERP) system in taking their budgeting to the next level, whether you choose to design your own model in Excel, rely on native Sage functionality, or select an independent software vendor (ISV) tool. This article will focus on the top features and functions in modern budgeting software that will impact the way you manage and analyze data for your manufacturing company. This article zooms in on budgeting solutions for professional sports organizations using Dynamics GP, with a focus on planning processes. for finance departments, but Excel isn’t meant to handle planning for organizations of a bigger size, like professional sports teams. More Dynamics GP customers are choosing independent software vendor (ISV) budgeting tools for updating and enhancing their planning processes. Modern third party solutions streamline budgeting and forecasting by focusing in on secure teamwork. This article will discuss the impact of modern ISV budgeting tools, so your professional sports team can build modern planning processes with Dynamics GP. This article focuses on modern features and functionalities for financial reporting, so you have a better understanding of what to look for when seeking a tool to improve your experience with Sage 100. In today’s data-driven world, your organization needs a powerful financial reporting tool to help you stay competitive in your industry. In this article, I will explore the Business Intelligence (BI) options you have for software, specifically looking at feature and functions, so you can select the best reporting tool to navigate your organization-specific issues in managing and analyzing your data as a Sage 100 user.